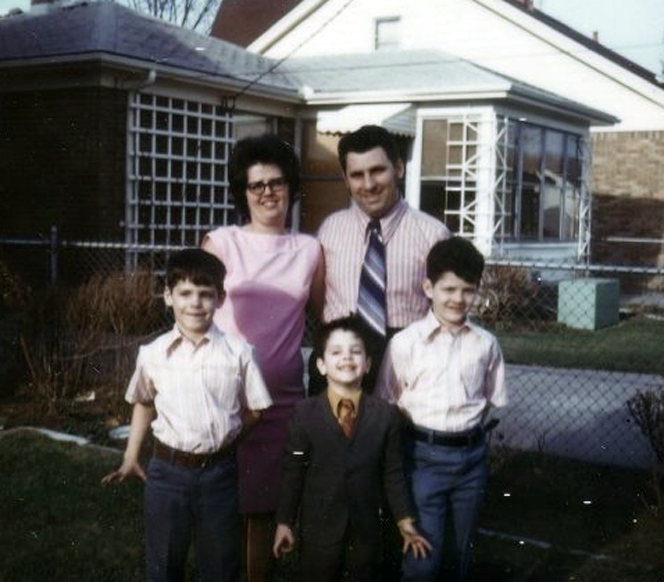 Father's Day is a meaningful day for me, not only because I have four great kids, but because it gives me time to think about my father, Orlando Orselli, who died in 2001. My dad certainly helped set many of my ideas about work and parenthood, and I'm thankful for that. My dad worked most of his adult life for The Ford Motor Company, first at the Rouge Plant, and then at the World Headquarters building (The "Glass House") in Dearborn, Michigan. He was a Stationary Steam Engineer, which basically means he worked with BIG boiler systems. Even though he didn't go to college, my dad instilled a love for books and learning, and the importance of education, upon myself and my two younger brothers while we were growing up in Detroit. Because he worked the midnight shift, he made time to go on school (or scout or Boys Club) field trips during the day and then take a nap before he would drive to work later that night. He thought it was important that my brothers and I helped him fix things around the house and knew the names and uses of the tools in his basement "workshop". When people ask me how I got into the museum business, I am sure memories of the day when my father took me when I was little (by myself, without my mom and brothers, for some reason) to Detroit's "Cultural Center" to visit the Historical Museum (the streets of "Old Detroit"!) and the Children's Museum (things I could touch!) and the Institute of Arts (Mummies!) all in one long afternoon may have something to do with it. Many, many family trips involved museums, or zoos, or nature centers. Even though my career choice in museums might have puzzled my father a little bit, he always told me, and other people, how proud he was of the work I was doing. Please never underestimate how important museums can be to people, especially kids and the adults they will become.